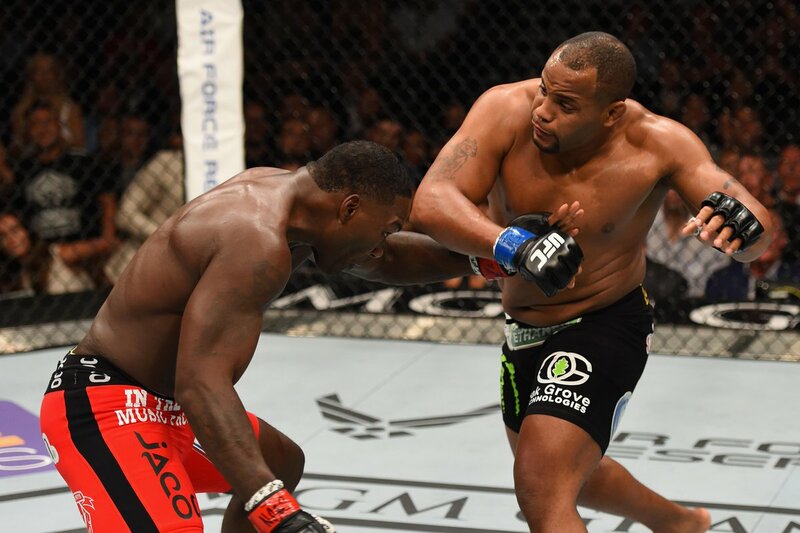 Daniel Cormier walked away with the UFC Light Heavyweight Championship after he submitted Anthony Johnson in the third-round of UFC 187's main-event. "Get your sh*t together" he directed towards Jon Jones after the fight, calling out the ex-titleholder. In what was a spectacular night under the lights of Las Vegas' MGM Grand Garden Arena, Chris Weidman set out further in building his legacy, dispatching Vitor Belfort within the first round. And even before any title fight action, Andrei Arlovski knocked out Travis Browne in one of the most thrilling Heavyweight fights of all time. Flyweights got the main card under way as Benavidez out-pointed John Moraga in an entertaining fight that could have been over within seconds, had the latter not weathered the early storms to survive. Once teammates, and still good friends, Travis Browne and Andrei Arlovski clashed in a fight that would catapult either Heavyweight to the top of the pile. Both wanted to keep it on the feet, and within a minute "Hapa" would find himself in a world of trouble as the former Champion bombarded him with strikes. 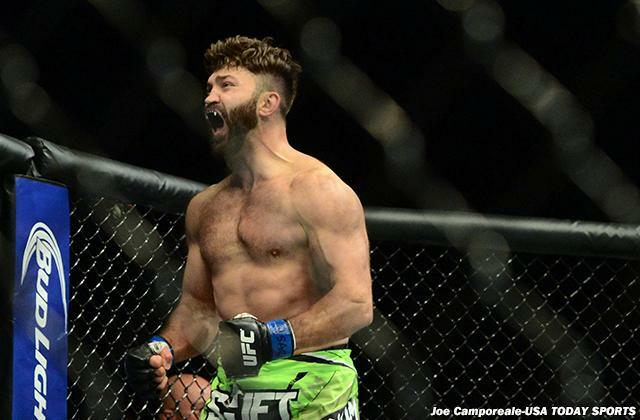 But, as the fans got to their feet in Nevada, Browne would send Arlovski to the mat to keep the fight poised, of course until Arlovski got back to his feet and landed a flurry of huge shots to conclude the epic encounter. Donald Cerrone forced a second-round retirement of John Makdessi in a striking clinic from "Cowboy". Landing numerous head-kicks, one would crack the jaw of Makdessi midway through the second frame, and the experienced fighter—who stepped in following an injury to Khabib Nurmagomedov—would be unable to continue, knowing his jaw was broken. It was then time for the first of two title fights, starting at Middleweight as Chris Weidman finally met Vitor Belfort. The explosive challenger had the All-American in trouble up against the cage, but it would be the beginning of the end when Weidman landed a perfect takedown on his opponent. From there, he managed to full-mount and land a variety of elbows and punches, leading referee Herb Dean to wave off the fight. In the main-event, the judges would not be needed either. Daniel Cormier delivered on his second chance to be the king of the Light Heavyweight division, grinding out Anthony "Rumble" Johnson before winning by choke in Round 3. He did however overcome a lot of adversity, having been dropped in the first round, but when it was on the ground, Johnson would be busted up, exhausted and vulnerable, allowing Daniel Cormier to lock in the rear-naked choke and win the fight. Live coverage for a stacked card featuring two title fights—UFC 187: Johnson vs. Cormier, Weidman vs. Belfort.